The King, the Crook, and the Gambler: The True Story of the South Sea Bubble and the Greatest Financial Scandal in History - IFA Vintage and Current Book Library - Index Fund Advisors, Inc.
Notes: An unscrupulous Englishman had the notion for a company that would establish a lucrative trade in silver and spices between England and the Americas. What the investors didn't know was that the South Sea Company barely owned a ship. 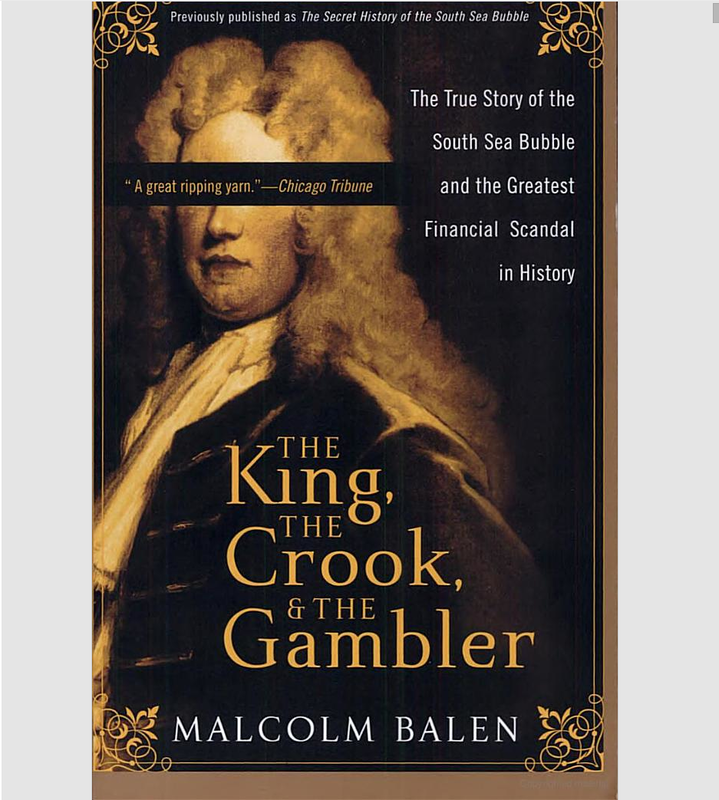 In this gripping account, Malcolm Balen reveals the true story of how a simple stock-share scheme became a Dickensian web of political and financial intrigue that threatened to overturn two monarchies and topple the British government. Set in the mazy back alleys of the newly inaugurated financial districts of 1720s London and Paris, The King, the Crook, and the Gambler is a lively, fast-paced, and surprisingly epic history of how the South Sea Bubble escalated into a catastrophe that made the fortunes of few and the ruin of many -- and has proved the model for every financial bubble since.